Kate Locksley is a singer of folk songs, broadsides, and other historical music. 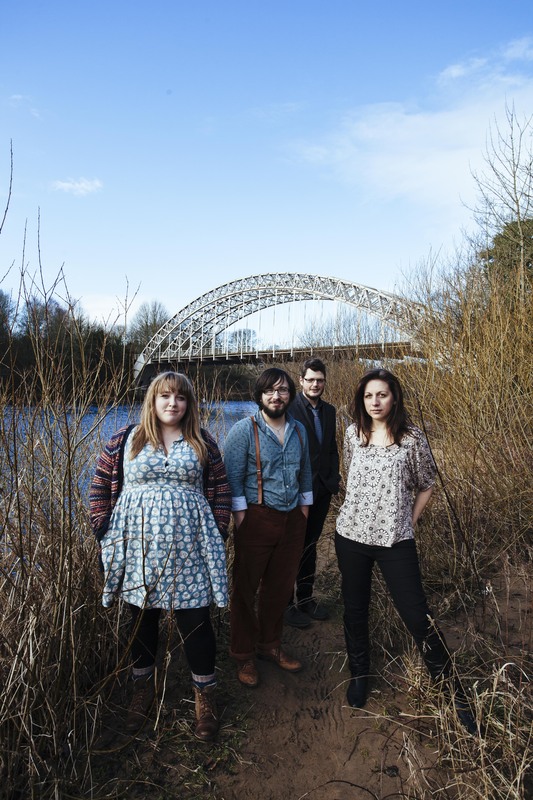 She is the alto(ish) in The Teacups, a vibrant vocal quartet based in Newcastle upon Tyne, where she studied Folk and Traditional Music as an undergraduate, and has recently completed a Masters degree based around the study of social protest in broadside ballads. Kate has also performed with an all-female unaccompained trio, Wychwood, and was the voice amongst the fiddle and guitar of Kev Lees and Dave Wood, in Night Fall until late 2018. She also occasionally performs solo, feeling that unaccompanied singing is both the ultimate vulnerability and a source of enormous strength. Growing in confidence during her studies at Newcastle, Kate has sung at venues of all shapes and sizes, from a flooded basement, to a dimly lit underground tunnel, to folk clubs and festivals up and down the country, to Hall One at Sage Gateshead. She will usually sing anything you like, anywhere you like, if you ask her nicely. August 2018: We’re really sad to let you know that now our 2018 gigs are done, my band Night Fall are going our separate ways. We love working together, we’re really proud of our music and we’re really pleased with what we’ve achieved, but the logistics of being geographically widespread, and being pulled in various directions by other commitments has proven to be a little too much for us to continue at a pace that we’d like. You can also scroll down a little to see some videos of the band from 2017. We really, *really* appreciate all of the love, encouragement and support you have all shown us over the past couple of years. It means a huge amount to us, so thank you very much! 2018: **NEWSFLASH**: The Teacups are crowdfunding for their third album. Visit https://tinyurl.com/teacupsthird before Friday 7th December 2018 to see what rewards are on offer! This list will be updated as and when more bookings are confirmed. If you'd like to talk about a booking, please get in touch via the email address at the bottom of this page. The Teacups are booking for an album launch in the Autumn of 2019, so if you are interested in a date, please contact pete@haystackmusic.co.uk. More sample tracks from The Teacups and Night Fall, as well as unaccompanied solo tracks are available to listen to for free at https://soundcloud.com/kate-locksley.